DETROIT — General Motors has been granted a U.S. patent for an exterior airbag designed to protect pedestrians during a crash. The airbag pops out of the A-pillar and covers the windshield. It is expelled from a fender flap to cushion the windshield wipers and "other sharp pieces" toward the front of the vehicle, The Truth About Cars website reported earlier this month. The patent, filed in April 2014, was greenlighted by the U.S. Patent and Trademark Office on Dec. 5. "GM is looking at the big picture. The company has made a big deal about some of their small cars having 10 airbags to prove they're safer, and break the stereotype of small cars not being safe," Dave Sullivan, product analysis manager at AutoPacific Inc. told the Detroit Free Press in a story published Friday. "GM continues to implement airbag technology in ways we haven't seen from other automakers." GM is the latest automaker to make strides on pedestrian protection technology. 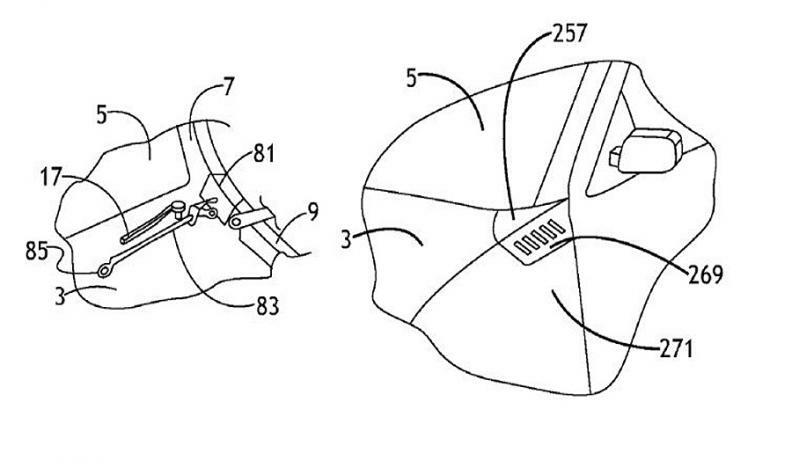 Similarly, Mercedes-Benz received a patent in August for an A-pillar airbag. Subaru's pedestrian airbags debuted in its redesigned Impreza, which went on sale in Japan in October 2016; Volvo in 2012 showcased the V40 five-door hatchback, which featured a pedestrian airbag that covers the windshield in a similar fashion. GM did not disclose how possible crashes would be detected to trigger airbag deployment. "It’s a promising technology but we have no specific production plans at this time," GM spokesman Patrick Morrissey told the Free Press. The automaker declined to comment further for Automotive News. The airbag addresses an issue that accounted for 15 per cent of traffic fatalities in 2015, federal safety agency NHTSA reported.